Caron Tubereuse is a fragrance I often think in terms of dance. Reading perfume reviews I am always struck by a variety of references to capture scent. Music language of chord, tremolo, crescendo and modulation; gustatory of bitter, sweet, sour; visual of matte, transparent, iridescent… The list is endless, and is contingent upon a reviewer’s way of identifying sensations and connecting with the world. At the same time, it also underscores the inadequacy of our language to capture scent. My own early experiences were shaped by ballet training. It is a mathematically precise thinking about space and movement, layered over sensitivity to music and emotional expression. My way of thinking about fragrance reflects this conditioning. 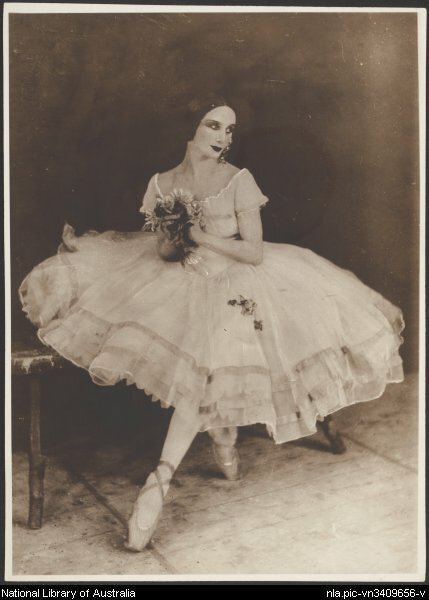 When I wear Tubéreuse, I imagine notes making their entrances, melding, exhibiting pirouettes, moving from adagio to allegro and bowing before fading away. While Tubéreuse is not a grand ballet, it is a beautifully choreographed composition. The first encounter is an adagio of opulent sweet, yet delicate tuberose notes, which are joined by radiant neroli. The delicate quality persists even in the drydown. For those wishing for a sunny radiant tuberose, Tubéreuse, available in extrait de parfum, is a good choice as it combines the classical precision of Caron with the modern predilections for transparency. mreenymo: That’s a beautiful photograph of Anna Pavlova, V! It captures perfectly the resonance and emotion of Caron Tubereuse. You are correct: words cannot quite capture the breadth and scope of a fragrance like this one. We are limited in our abilities to articulate the impact this liquid gold has on our senses. But our emotions and feelings about the fragrance tell us that it is something that is very special. Robin, you hit the proverbial nail. Emotion is an important (and maybe most important) element in how we appreciate scent. I cannot think of a better way to put it.